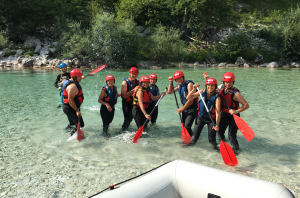 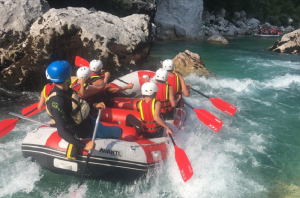 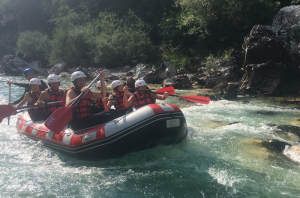 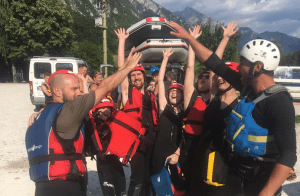 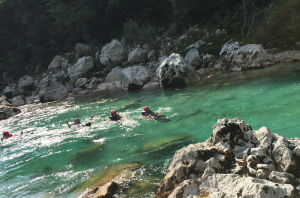 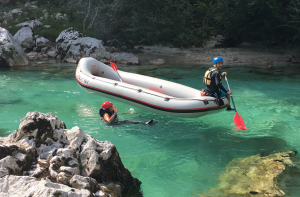 Rafting Soča river is an unforgettable experience for everyone. 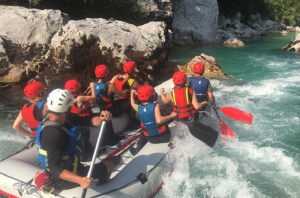 It all depends on the water level, but this activity is virtually for everybody – for adrenalin seeking adventurers or families with children. You are supervised by trained rafting guide who tells the way of paddling, entertain you during the tour and sees that everything is safe.